Once if you have added your favorite team to Google Now, you will be updated with the fixtures, scores and eventual results of the match played, and it also comes with support for international teams as well as Indian Premier League teams. 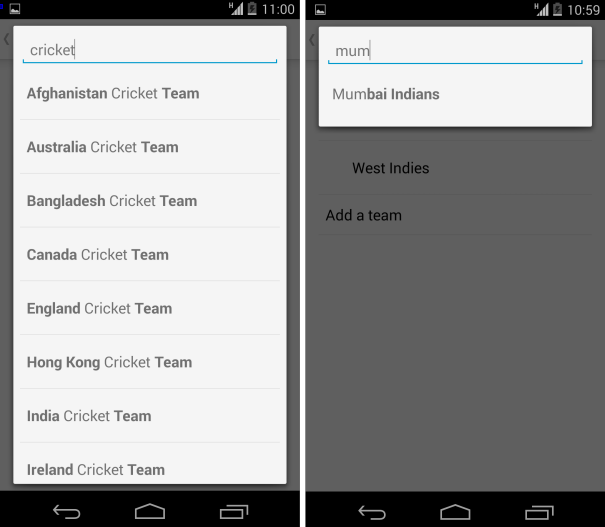 Google has not mention if it is planning for updates for First Class cricket and other smaller tournaments. The feature is comes in a perfect time for Android devices, given that the Twenty20 international cricket tournament will be commencing very soon in Bangladesh. Just add your favorite team in the Google now’s customization panel and start enjoying. This addition is definitely a major updates since there are many cricket fan’s who are busy with their schedule and miss the movements of the match. Not it’s a relief for all the cricket fans that they can get all the news and updates regarding the match. The user just needs to open the Google now and add the team name, that it! You are ready to go. No need to download any sort of application for it. So did you add your favorite team to Google now? Will this addition will be helpful to you? You can also get updates from many other sports also. Stay tuned for more information and do comment about this new addition from Google to Google now.